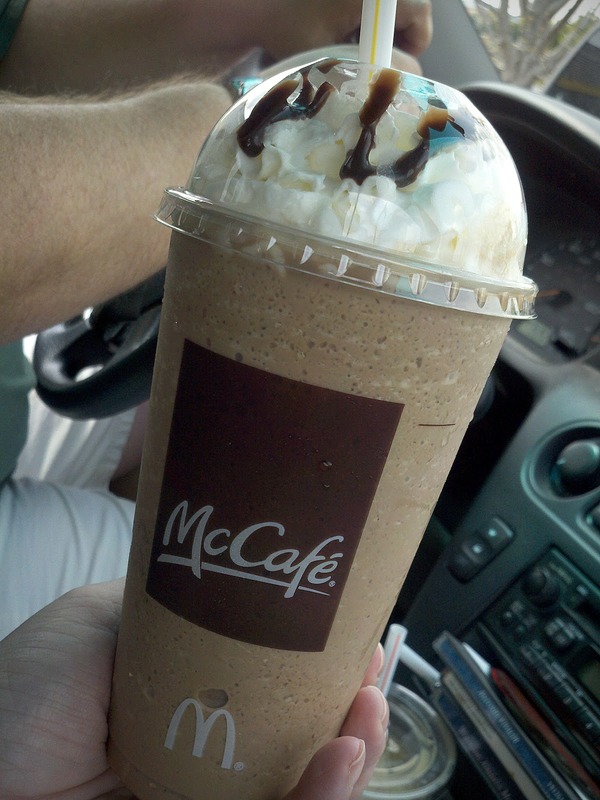 Anyone else LOOOOOOVE McDonald's Mocha Frappes??? Oh yes, dear Starbucks DOES cost more which is why we dared to try McD's coffees. I was quite surprised that it was so close to Starbucks!! Mr. U ADORES an iced latte (with an extra shot of caffeine! LOL!) and was shocked that McDonald's can make one almost identical. And cheaper, too? Can't beat that!!! My daughter lives on them!!! MMMM.........I like them too. I try not to get them too often (trying to limit sugar consumption), but yummy! Yes, I do LOVE a good cup of Adagio tea (my current favorites are Bolero and Jane's Tea), but I do enjoy a good cup of coffee or a fancy coffee drink!! These Mocha Frappes at McDonald's are more like a dessert, though, than a drink! Yum!!! Dessert is always right up my alley! LOL!! Love those AND the new frozen Strawberry Lemonade!